In today’s competitive market, it is impossible to ignore the importance of digital marketing when it comes to the success of your business. Being a marketer, you always have to meet strict deadlines or even strive to attain a tightly bound KPI. But if you don’t have the right toolkits, then attaining your business goal can, of course, be a difficult task. 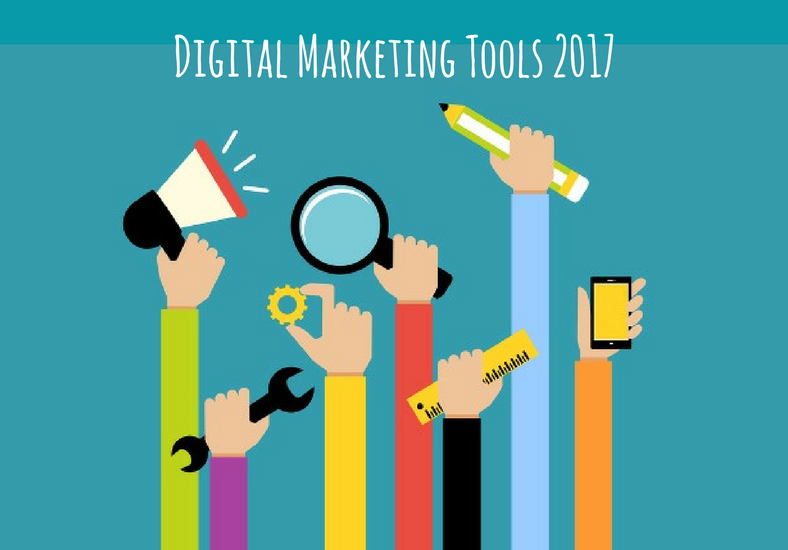 To help you to kick start 2017 in the right manner and reach your marketing goals, here we have put together a list of some important digital marketing tools that can help your business add value and grow. This is one of the most important SEO tools that allow you an easy access to utilize the data effectively. With numerous means for customers to interact with your brands like tablets, smart watches and etc., it is a challenging task to get a complete picture of your audience. With Google analytics, you can understand the behavior of your visitors, have an insight on what keyword drove traffic, measure the bounce rates and also take a look at the conversion rates of your visitors. When it is all about keyword research, this tool is a great one to start with. It is with the assistance of Google Keyword Planner that you can find out the search keywords that people use to find information on Google and help you in your keyword strategy. The tool provides information from monthly search query volume. Search keyword based on location, your competition’s stats and etc. This makes crafting the newsletters interesting and fun and it is a fantastic email marketing tool that enables you to create, send and track HTML email campaigns that can be used with easy to use drag and drop interface. From an SEO perspective, it has powerful reporting features and comes with integrations giving it some extra functionality. This is a helpful tool for competitor research and also offers a clear perspective of your competitor’s traffic statistics, organic keywords, user engagement metrics and etc. It helps to evaluate your relevant industry and audience that helps in creating product development strategy. Not only this, it also gives you a breakdown of your traffic sources in a graphical format that helps in critical decision making. This is a media tracking and monitoring tool that helps you to monitor your brand online. It helps you to check your promotional efforts and remain informed about every instance of your brand name that includes the web and social media platforms. It sends daily emails with the results for quick and convenient tracking. It is an online software that digital marketers can use to gather valuable information about their online presence. The information can be used to analyze keyword statistics, traffic and research keywords. Not only this, it also allows you to track the success of your digital marketing efforts and track your competitors. This is a unique keyword research tool that allows the marketers to have a clear idea of what people want to know about. It helps to keep a track of the keywords that are being searched on Google and check the query volume. It offers a detailed analysis of the latest trends and visitors’ interest to ensure that your business stays ahead of your competitors. This is a great tool for SEO, editorial and social teams. While working with clients, it is vital that the designs used for their social shares meet their visual standards and Canva offers various features that help to create a stunning post or blog image with no design training required. Plagiarism is something that should be avoided at any cost. Plagiarism may often lead to deindexed by Google and if your page is de-indexed, it will be invisible in search engines and lead to loss of ranking. Copyscape helps to check your content for any duplicate content and then publish it online and this helps to optimize SEO to the maximum. To conclude, we can say that we have tried to cover some of the most important digital marketing tools that a webmaster needs that will help to enhance your site and secure a significant ranking in major search engines.